Us, sales professionals, tend to jump on the telephone or send an email to targets when we feel the need to prospect for new clients – or our director is on our ear asking us to update our pipeline on the CRM. Today our potential clients may not be ready when we are willing to engage with them. Today our potential clients do research online, put together a shortlist of potential providers and engage with them when they are ready to move forward. A definition of Social Selling is: Sales professionals and sales teams leverage social networks to identify, qualify, engage and close meetings with potential clients. You can see that Social Selling is about a process, but it is also about digital social skills and attitude and the right sales organization, systems and support. Be Present, on social networks, where the clients are. Typically we would talk about Linkedin and Twitter. Have an amazing personal branding, offering the best professional version of ourselves. Be Heard, make the right amount of noise and to the right people. Sales pros need to understand social networks, how they work and become savvy digital networkers, understanding how to share content and become relevant to our audience. Listen. Definitely the least practiced skill of all three. 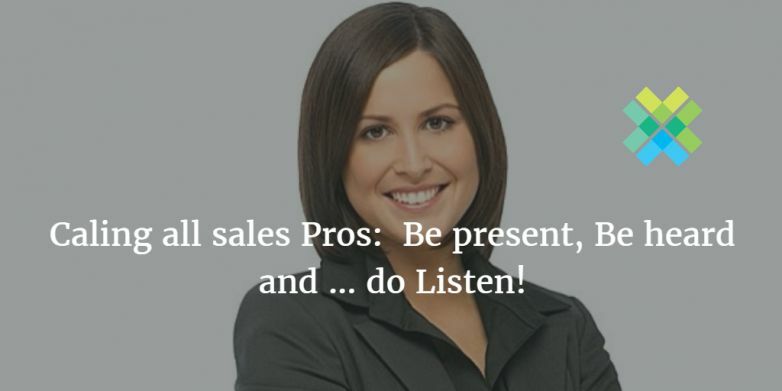 Listen for sales triggers that your clients are sending over the social networks. Triggers help you engage with your potential clients, consequently be top of their mind when they are going through their buying journey and putting together a list and finally making it to the short list. Act on those triggers, make it to the potential client shortlist and get ready for the call! Sometimes we hear that Social Selling is the “end of call calling”. It definitely is. We shouldn’t be cold calling anymore. But it is not the end of “calling”. We need to continue calling our targets. It’s not about replacing a process. It’s about defining a new sales process with the right pieces in the right order. First we identify, qualify and engage with social. When they are ready it’s time for the call. Not before! The digital transformation in sales is really about acquiring the skills, being coached on digital networking and having the appropriate process, systems and structure to be able to capitalize the opportunity of Social Selling.